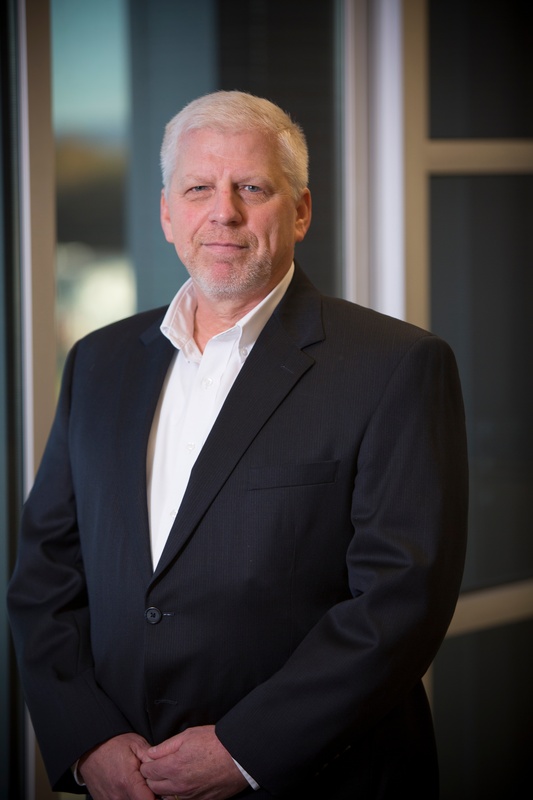 Are all warehouse management systems created equal? The WMS programs of a decade ago were once rigidly compartmentalized and relegated to a specific industry or vertical. Today is a different story: configuration rules the day. 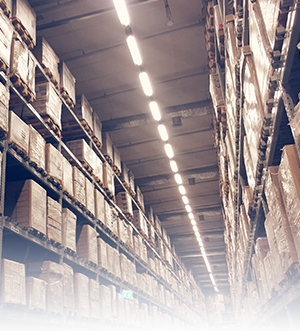 Effective warehouse management is more than simple data. It's a staging ground for a robust and customized set of solutions for your workflows. It ties together teams beyond your warehouse walls, looping in sales, engineering, IT, and more to create transparency and cooperation across the board. Your WMS means more than hitting a key to determine where materials are stored––it's about building and shepherding the processes that get them there. And today, you have many integration-friendly, scalable options for a WMS that are capable of the evolution you’ll need as a modern business. When you choose and implement the right WMS for your business, you can experience these 10 benefits. 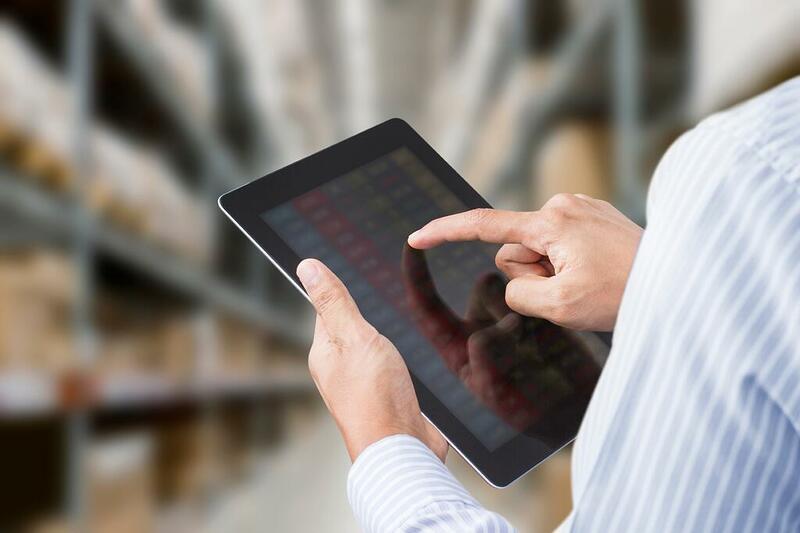 Choosing the correct WMS for your business will allow you to seamlessly optimize your processes within the warehouse. That means not only finding the right processes to suit your business itself, but also those that fit the types of materials you manage. There are many ways to pick material based on those parameters, and an intelligent WMS selection will allow you to incorporate a variety of algorithms, including wave, zone, and batch picking. A good warehouse management system needs to be versatile on input methods as well, tackling barcodes, RFID or smart scales with equal skill, and working in collaboration with equipment automation. Process automation takes the burden off of your team for outgoing shipments, allowing them to tackle the more variable aspects of inbound freight and the inevitable in-house snags that need to be addressed. By linking your WMS with your transportation management system, or TMS, your company can form a holistic outlook that extends beyond your walls and racks. This dual-system collaboration allows for greater accuracy for delivery targets. It also alerts your team when to stage outgoing shipments, when to expect delays and other time-sensitive information. With variables such as the size of your facility and special material handling requirements, you need to approach efficiency differently at each stage of the workflow. Your WMS should be able to assist––if not outright allocate––these on-the-floor tasks in the most logical, efficient way possible. Even if your system only delivers metrics, you'll still be getting crucial decision-making data that you can shape into the best approach possible. Time, effort, and resources are increasingly becoming a point of difference in busy marketplaces; "winging it" can be disastrous for long-term profits. This is another point where dual-system collaboration will work in your favor. By building in or selecting a system that offers integration between your WMS and your labor management system (such as High Jump), you can even add an element of gamification. Challenge your workers to healthy competition for stand-out metrics, and keep track of important optimization data such as distance traveled, items picked per time period, and so on. You could also choose a WMS like JDA (RedPrairie), which has a completely separate labor management system, which integrates with your WMS of choice without sacrificing great integration and touch points. A WMS helps provide structure in the workplace, both literally and figuratively. Through Kenco's in-house research, we've learned that this type of structural support boosts employee morale. In other words, knowing exactly where they should be and what they should be doing helps employees find fulfillment in their work. Through a well-built WMS, these same employees enjoy more efficient task allocation, autonomy within their roles, and better accuracy in their work. With real-time feedback that reflects on their workers' performance, managers can offer more constructive suggestions, and goal-setting becomes a more straightforward process. Measuring growth and improvement is standardized, again allowing for healthy competition on the warehouse floor and a greater sense of self-worth––and subsequently more efficient, consistent work habits––in individual employees. An efficiently run warehouse helps reduce delivery lead times and order accuracy errors, and that means more customers are satisfied with their orders, which in turn means more sales. When your team is ready and waiting to accept incoming materials and supply chain orders, it means your partners can move on to their next task or delivery that much faster. It's no exaggeration to say that the correct WMS elevates and improves the relationships your company has with all parties in your demand and supply chain––not just your end customers. The WMS manages inventory and locations of your product. The system drives you to a location to get the product, then the right outbound door, and the right shipping lane, and ensures you get it on the right truck. It's system-driven efficiency that helps you reduce friction you might feel with your supplier partners or even end customers. If you have perishables or other date-restricted stock in your warehouse, a good WMS can help reduce waste by identifying which units need to be picked first, and which may need a sales push. Outside of perishables, an efficient use of space and labor also reduces waste; a WMS can calculate the optimum location for each item, ensuring space is balanced against the pick-and-put-away effort. Either one reduces cost and allows you to invest in other areas of your business. And your 3PL should aim to help you identify and reduce these costs no matter what––not only to drive your expenses down but to increase their operating margins, as well. In addition, when you choose the right WMS, you will maximize the use of the warehouse space from product placement to the overall footprint. It optimizes your space systematically and optimizes your travel path (from picking to put-away location and everything in between). When you do all of this, you’re able to reduce your on-hand inventory, reduce your space costs, and ultimately––drive down the price of doing your business without sacrificing quality. A "bad" WMS can cost you in inventory, as well. Inventory, when stored in the proper environment and used in the best order, eliminates scrap, waste, and obsolescence. With solid, trustworthy records, you'll never have to worry about keeping too much safety stock on hand or shooting yourself in the foot by running short of a SKU during a "crunch" period. This supports your company achieving the cost and efficiency savings of a just-in-time strategy. The more effective you can make your team and inventory oversight, the higher the volume you can achieve. The higher that volume, the fewer individuals you'll need to be allocated to your supply chain node. It's a self-fulfilling prophecy regarding lean operation, and it's a goal well worth pursuing for the sake of your bottom line. When your outgoing orders are accurate, your demand history isn't bogged down with repeat shipments, replacements, or shipping issues, which gives you a clearer view of overall operations. That "clean" history can then be used by a well-balanced WMS to determine a “best fit” algorithm that calculates demand for ordering purposes. The right WMS should scale with your business without breaking a sweat. ERP handles everything from financials to HR, demand planning to market tracking; it needs clean data to work properly. If your WMS is a poor fit, you'll fall prey to the "garbage in: garbage out" problem, and expend time and effort trying to cobble a stopgap solution together. A modern WMS system should require workers to enter transactions using their own unique user account. This results in an audit trail that ties transactions to that specific worker. When accountability is in play, it helps to reduce pilferage and other forms of shrinkage, as well as highlight opportunities for coaching and more intense training. Even when theft isn't a looming issue––an increasingly rare state for any industry––automatic segregation of high value or potentially hazardous materials is its own "insurance policy" in the warehouse. Accidents happen, but when you have an automated system that minimizes their fallout, both the C-suite and the floor workers can breathe a little easier. When suppliers have access to their own inventory use and on-hand SKUs, they gain the ability to plan and implement their own production. By shedding some redundancy, they reduce lead time and minimize the costs associated with holding excess warehouse inventory. With additional access to real-time data for shipments, orders, and more, the customer service team can also more accurately handle problems and questions. Rather than periodic reports that run long after they could be used for correction, companies on a well-built WMS setup can tap into reports delivered as frequently as necessary. Kenco offers automated operational reports on a pre-determined time frame as part of our services, allowing our customers and operations teams to see and respond to trends as they happen. In your company, improvement rests on many different aspects. From the immediate––travel paths during pick and pack––to the "long game" processes like employee engagement, you always have an opportunity to do better and achieve more. Process changes are crucial to driving improvement, and a good WMS helps facilitate them. Run "what if" scenarios to determine what you can expect from big changes, and use your WMS itself to implement and track smaller moves. If you find yourself working around it rather than alongside it, it may be time for an upgrade. You should be able to rely on your WMS vendor to keep abreast of trends in the industry. They should support new ideas with a continuous stream of new functionality, one that helps you to reduce costs, improve operations, and optimize processes with each new release. And eventually, you should be able to use the data from your WMS to become a proactive, predictive leader in your company––not simply reactive. If you're in the consideration stage of selecting a WMS, make sure that the system you are considering has the right capabilities for your needs - one size definitely does not fit all where a WMS is concerned. The right selection should fit your business model and culture, providing you with the innovation, functionality, and versatility you need to grow and thrive. Our free white paper can give you valuable guidance when it comes to making the most out of your WMS: Lean Warehousing. Beyond helping you find the best 3PL and management systems for your company, you'll discover how to apply lean principles to your most basic workflows, building a culture of smart efficiency from the inside out. Get the guide straight to your inbox to read any time.